Welcome to Motorparks, your one-stop shop for locating the compact and practical new Ford B-MAX at a truly astonishing price. Built for the urban driver, the Ford B-MAX may look small on the inside but is packed with so much space to ensure a comfortable drive every time. Entry to the new Ford B-MAX is also oh so simple, thanks to its easy-access door system giving you up to 1.5-metres worth of space to step into. 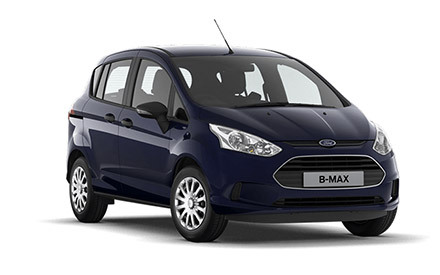 Enquire about the new Ford B-MAX or book a test drive online right now. Your drive will commence at either our Ford Ashford, Ford Canterbury, Ford Croydon, Ford Thanet or Ford Wimbledon dealers at a time that suits you. Have you had a chance to take a look at all of our used Ford B-MAX cars too, with some models only recently coming off the production line?